Even as the overhyped consumer 3D printing market continues to fall back down to earth, 2016 looks to be a breakout year for the industry as senior executives’ eyes and checkbooks are opening wide to the technology’s potential. The industrial market for 3D printing real end-use parts looks poised to begin its long growth run, with far reaching implications. 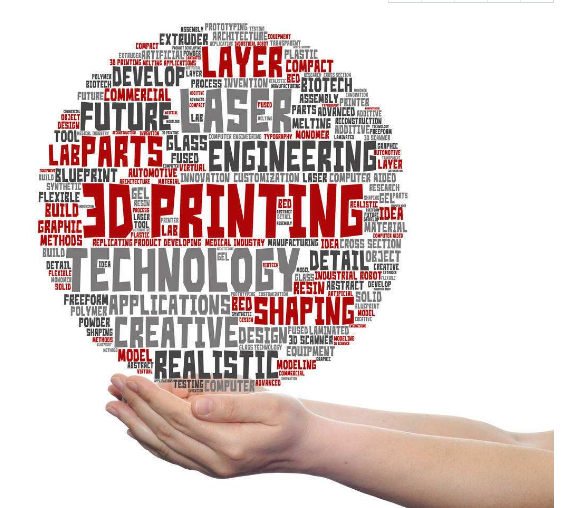 2016 will likely usher in 3D printing's first “killer apps,” impacting both product design and supply chains. No matter what, 2016 will be a year when leaders across industries will be compelled to pay close attention to the emerging opportunities and disruptions that 3D printing is creating. Just last week, I visited the Consumer Electronics Show, where 3D printing companies focused on the consumer market showed up in full force. There was an endless sea of companies offering inexpensive consumer models, each looking identical to the next. It appears they may be late to the party. 2015 marked the end of the 3D printing consumer market hype cycle with Stratasys (the acquirer of MakerBot) taking massive write-offs and 3D Systems shutting down its entire consumer unit in December. With prospects dimming for the short-term consumer market, attention will quickly turn toward 3D printing’s area of greatest promise — industrial applications. While GE and Ford have touted their rapid progress with 3D printing, many others are achieving some incredible accomplishments behind closed doors. There are more than a dozen secret projects that I know of that are truly pushing the limits of 3D printing technology. Look for exciting announcements about exotic new 3D printing materials such as glass and graphene and 3D printed objects that shatter the previous limitations on shape and size. These “big area” 3D printing machines hold the promise of manufacturing an entire airplane wing structure or blades for massive wind turbines in a single print. Most internal design shops have access to an in-house “pro-sumer” 3D printer. But despite advances in the technology, these printers remain difficult to use, often result in print errors, and are subject to traffic jams when everyone wants to print something at the same time. As the speed and sophistication of external providers has increased dramatically, with some now guaranteeing 24-hour production/delivery, many engineers and designers are ditching their internal printers in favor of a external service providers. Several companies have told me they may have purchased their last internal printer. While some still look upon 3D printing as a niche technology, no one doubts how aggressively companies are pursuing cost savings, such as reducing expensive and wasteful physical inventories. Shifting physical inventory to virtual inventory, which allows you to generate parts on-demand when and where you need them, is shaping up to be a major part of the solution. Look for cloud-based “virtual inventory” to be 3D printing’s first killer app for the supply chain. In the last 10 years, Amazon has fundamentally changed the computing world by creating the elastic computing cloud, which allows companies to access Internet capacity in exactly the amounts they require. It has long been predicted that manufacturing will follow this same path, with companies being able to tap into a network of production capabilities on an as-needed basis. 2016 will be the year where this “elastic manufacturing cloud” becomes a reality with at least one company we know of poised to make a major announcement in this area soon. With traditional manufacturing, most objects are typically made up of separate parts that need to be produced, shipped to the same location, and then assembled. With what is known as “holistic manufacturing,” companies print complex designs in a single operation, effectively consolidating many different parts. GE’s widely discussed 3D-printed fuel injection system for its new jet engine is a great example of holistic manufacturing that produced great efficiency — and cost savings — by consolidating 21 separate parts into one. Many companies are now actively looking for opportunities like this to apply holistic manufacturing to their products, making it one of the most promising — and potentially most disruptive — uses for industrial 3D printing. Today’s manufactured objects produce an overwhelming amount of information. More and more parts have some sort of embedded sensor or electronics. Software companies like Autodesk are taking advantage of this, plugging the available data into new “generative design” programs that use artificial intelligence (AI) to interpret it and create literally thousands of complex design possibilities based on specific criteria for weight, strength, etc. Most of the resulting designs can only be produced using 3D printing. In December, our company manufactured the world’s first 3D-printed automobile chassis designed with AI. Artificial-intelligence-based designs could be another one of 3D printing’s killer apps in the design and production space. 3D printing technologies have been around for decades and service bureaus that will print your prototypes for you have been around nearly as long. Today, though, companies are expanding their need for 3D printing well beyond prototyping to include true manufacturing of end-use parts. Expect the bar for service providers to be raised rather aggressively this year as customers come to expect what is commonly asked of other manufacturing service providers: consistency of production, security (physical and digital), materials traceability, and good old-fashioned customer service. 2016 will likely be the year that 3D printing sheds its hype and begins to appear in real business applications with compelling returns. As investment pours into industrial applications, the pace of adoption seems certain to accelerate.